This tutorial explains how to implement Pie Chart in a simple Android Application example. To implement Pie chart, we are going to create a new android project. Go to File ⇒ New ⇒ New Projects in Android studio. We need to initialize id of Pie Chart. If we want to add Y-values in percentage then we need to call setUsePercentValues(true). Every individual value of the raw data should be represented as an Entry. An ArrayList of such Entry objects is used to create a DataSet. Without using labels, there is no meaningful sense of already added value to the chart. We can use an ArrayList is to store x-axis labels. Pass the X-values Array and dataset into a new object PieData. If you want to display chart in percentage then pass new PercentFormatter() as a parameter otherwise pass new DefaultValueFormatter(0). new DefaultValueFormatter(0) parameter show data value. To create Pie Chart with data, we need to pass the pie data into setData() method. If we do not pass the PieData into a setData() Method then create an empty Pie Chart. Now run app, we will see Simple Pie Chart with data. We can change the default color by using setColors() method. MpAndroidChart library also provides predefined color templates. 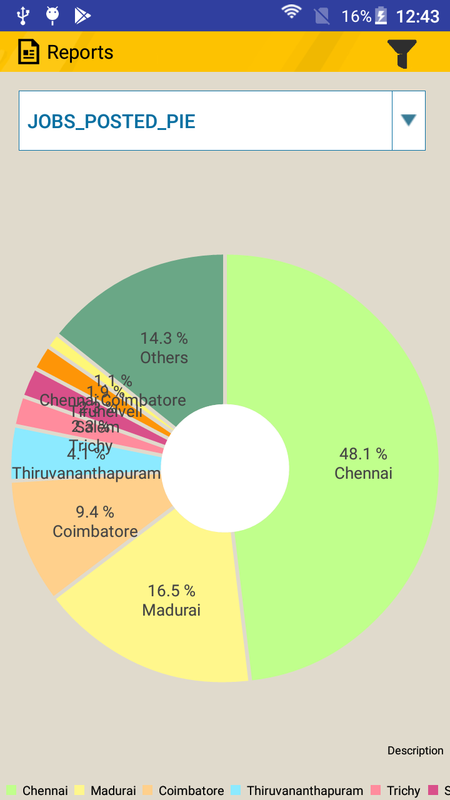 By default, MpAndroid library create a Pie Chart with hole. We will control Hole in the pie chart by using setDrawHoleEnabled() method. If we pass false as argument in this method the it will disable hole in the Pie Chart and If we want to enable hole then pass in it true as argument. To enable hole in the Pie chart then Pass the true argument in the setDrawHoleEnabled() method. We can control radius of hole by using setHoleRadius(). To get the value on the touch or select, we need to implement onChartValueSelectedListner and add onValueSelected() method to get response. See my httpurlconnection tutorial to get server data as json. When are you creating Arraylist put it into dynamic values. Thank you for your quick reply. I am new to android. I have already posted, how to get data from server. Search httpurlconnection in search box. Use this tutorial to get data as response. I’m using asynctask to fetch the json output from the webservice. I’m able to get the yvalues for the pie chart as Float variables. How do I set the yvalues in onPostExecute() method? in PostExecute(), you need to execute code with in run() method. 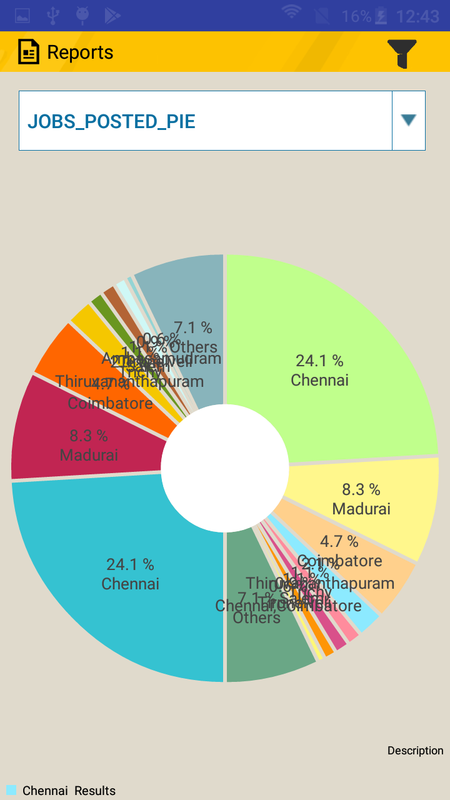 You can create Pie chart in any fragment. everytime when i select the value its gets repeating if there any solution avaiable ? Please add an article about how to use MPAndroid with Realm Database. when i add data to dialog, how to refresh? can i add images in chart instead of values ? Hello sir…..can you please tell me how can i fill the pie chart using my sqlite database columns (amount,categoryName)…..any help appreciated…. Thank you! thank you so much , great tutorial.